Juliet must find her Romeo. Seriously – Romeo – where the heck are you? William Shakespeare wrote in his play All’s Well That Ends Well, “Love all, trust a few.” Which, honestly, is a bit of a contradiction. Love, supposedly, includes trusting an individual completely. But as many of us know, either through personal experiences or hours of watching soap operas, love tends to be a very slippery slope. In this game, lies and manipulation make finding true love a game of luck, observation, and persuasion. Where Art Thou, Romeo?, designed by Michael Eskue and published by Crash Games, is comprised of nothing more than 5 Role cars. 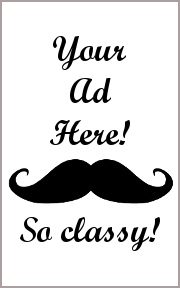 The cards are standard size and of excellent quality. The artwork by Darrell Louder and Adam P. McIver is well done and professional looking. Oh, also, there’s a rule book. I should mention that, considering there isn’t anything else – component wise – to the game. The game is set in the Council of Verona game universe, but is a separate game in and of itself. Not included with the game, but necessary to play, is a pen or pencil and a pad of paper to keep track of players’ scores. Update: A new version of Where art Thou, Romeo? was released in 2015. The game play is the same as described below, but the components were updated. The Role cards are now thick cardboard, although they still retain their card shape. Wooden cubes have been added to replace the need to keep track of a player’s score using a pen or pencil and a piece of paper. Finally, a cloth bag has been provided to hold the game components. To set up the game, first remove the “Juliet” Role card and set it aside. Second, remove the Role cards with a “4” and “5” on it if playing with 3 players and the “5” if only playing with 4 players. Removed cards are out of the game. Third, take the remaining Role cards and shuffle them, placing the deck of Role cards face-down. Fourth, determine who will be the first player and give them the “Juliet” Role card. The “Juliet” Role card is placed in front of the first player, face-up. Where Art Thou, Romeo? is played in rounds. The number of rounds is equal to the number of players (no less than 3 rounds or no more than 5 rounds). A single game round is summarized here. All the players, except the one who currently has the “Juliet” Role card, is dealt 1 Role card, face-down. Players should look at their Role card, but keep it hidden from their opponents at this time. The player who currently has the “Juliet” Role card now announces that the “lobbying period” of the game has begun. This period of time should only be about 30 or so seconds in length. At the very least, enough time for each player to quickly persuade Juliet that they are Romeo or one of their other opponents are or are not Romeo. There’s a bit of a catch here…. Each Role card scores differently based on the role selected. Further complicating things is that each Role card has 2 roles on it. This is actually a very good thing as a player is not forced to select the role they want to play right away. Role cards can be played anytime before and during the lobbying period, but not after. Once selected, the role cannot be changed for the round. To select a role, the player places their Role card face-down in front of them with the role they selected closest to them. The role they did not select should be pointing towards the middle of the playing area. Note: It’s very important that players do not turn their Role card once they select their role. Let’s take a quick moment to review some of the roles that can be selected. As stated, each Role card has 2 roles the player can select from. The selection process should include careful listening to what other players are saying. For example, let’s take a look at Romeo and Mercutio. These roles are on different Role cards, meaning 2 players will need to listen to each other. 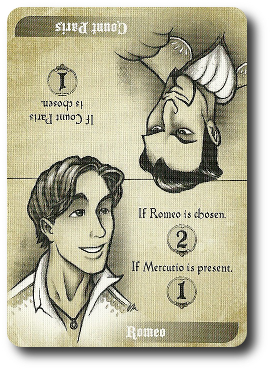 Romeo gets 2 points at the end of the round if Juliet properly identifies the “Romeo” Role card and 1 point if the “Mercutio” Role card is a selected by another player. Mercutio gets 2 points if Juliet properly identifies the “Romeo” Role card, but Juliet and Romeo only score 1 point instead of 2. Lets look at another example. Friar Laurence will score 2 points if Romeo is properly identified by Juliet and Count Paris scores 1 point if this role is selected by Juliet. As you can see, the different roles depend on each other, and that’s where the fun of the game lies. 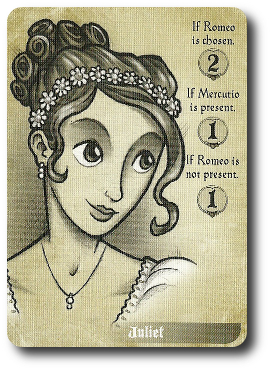 During the lobbying period, players will do all they can to not only convince the player who currently has the “Juliet” Role card that they are Romeo or one of their opponents are, but they will be doing it with the intention of misleading or secretly communicating to possible other roles at the table. Note: Again, players are not required to select a role and place their Role card before or during the lobbying period, but they MUST select a role by the time the lobbying period ends! When the lobbying period is over, Juliet must make a choice. All the Role cards are now revealed. When revealing Role cards, they should be flipped so the selected role remains in front of the player who owns the card. The role that was NOT selected is pointing to the center of the playing area. Points are now scored based on the player’s currently selected role. The roles on the Role cards are pretty clear on if the selected role scored or not. There is a player aid on the back of the rule book that will help clear up any scoring confusion. The points are then recorded on a piece of paper. This concludes the round. The “Juliet” Role card is passed to the next player going clockwise and the Role cards are collected. Shuffle the Role cards. Begin the next round as described above. After each player has played as Juliet, the game ends. All the points from the rounds are added together. The player with the most points wins the game and Juliet’s heart. 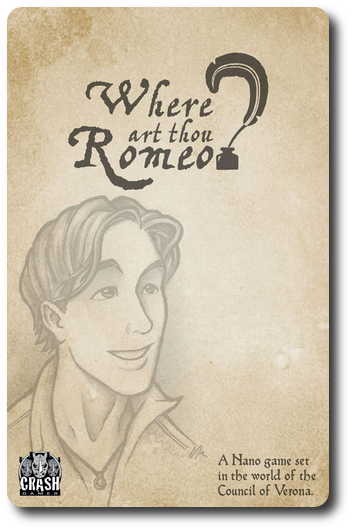 To learn more about Where Art Thou, Romeo?, visit the game’s web page. On a side note, the actual line from Shakespeare’s play, Romeo and Juliet, is “O Romeo, Romeo! wherefore art thou Romeo?” This line is said by Juliet as she leans out her window whilst a young Romeo voyeuristically watches her from the grounds below. Romeo was trespassing, by the way, in the Capulet’s private orchard. No wonder the Capulets don’t care for the Montagues. The game takes its name from this line in the play, but takes some creative license. Shakespeare would be pleased. Where Art Thou, Romeo? is a good example of a nano game (also known as a micro game), which are designed to be very light on components and provide quick game play with little to no reduction in entertainment or depth. This particular nano games challenges players to secretly select a role and then manipulate the other players, either through lies or truth, to make decisions. In many respects, Where Art Thou, Romeo? is like Are You A Werewolf?, wherein players keep their true intentions hidden, trust no one, and make choices based on observations. I don’t believe we’ll see much in the way of anxiety or disgust while playing Where Art Thou, Romeo? for several reasons. First, the game is fast. Crazy fast, in fact. I’ve played a game with 5 players in less than 10 minutes. Most of that time wasn’t actually playing the game, but discussing what we thought about the previous round. Second, players are not eliminated. If you select the wrong role or do a poor job of persuading the other players, the most you lose out on are a few points. Given the above, I think the Child and Parent Geeks are going to enjoy this game. The Gamer Geeks will either enjoy it or feel neutral towards it. The Gamer Geeks might find the game to be a bit too fast and too little to register on their radar. Teaching Where Art Thou, Romeo? is best done by example. 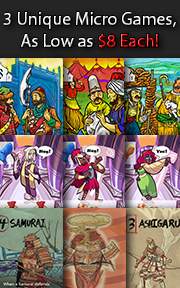 Take a few Role cards and demonstrate how they score points. We found that the learning curve for this game is exceedingly easy, but most of our players had questions about how some of the characters scored. After explaining the different Role cards, make sure everyone understands what the lobbying period’s goal is and establish any guidelines as required. Note that this game does require the player to read and keep what they are reading a secret. Younger players who are not able to read can help the player who is currently Juliet, but won’t be able to do much else during the rest of the game. And so, after teaching Where Art Thou, Romeo? to my oldest little geek, I asked him his thoughts on the game so far. I totally agree. Let’s play Where Art Thou, Romeo? and see if we love the game or we leave the gaming table with a broken heart. The Child Geeks had a bit of difficulty at first with the lobbying period, which is honestly the most complicated portion of the game. A few of the Child Geeks didn’t know how to manipulate and lie, which is not a bad thing, but it did hold them back a bit. When they played as Juliet, they almost always selected their “best friend” as Romeo, which never really worked out. According to one Child Geek, “This game is tough. I don’t know who anyone is.” Another Child Geek said, “What I like about this game is trying to figure out who everyone is!” I observed little in the way of random selection of roles, but I was not totally convinced that the Child Geeks understood how to properly position their arguments during the lobbying period based on the role they selected. Everything still worked out, however, and all the Child Geeks thought the game was a good time. Where Art Thou, Romeo? was approved by the Child Geeks. The Parent Geeks did much better when it came time to selecting a role and lobbying for or against it. Lobbying periods were chaotic, however, and some of the discussions devolved into little more than shouting matches. Not out of anger, mind you. It was the result of an ever-growing volume of cacophony as players did everything they could to be heard over the noise. Thank goodness lobbying periods only last about 30 seconds! According to one Parent Geek, “I really like this game. 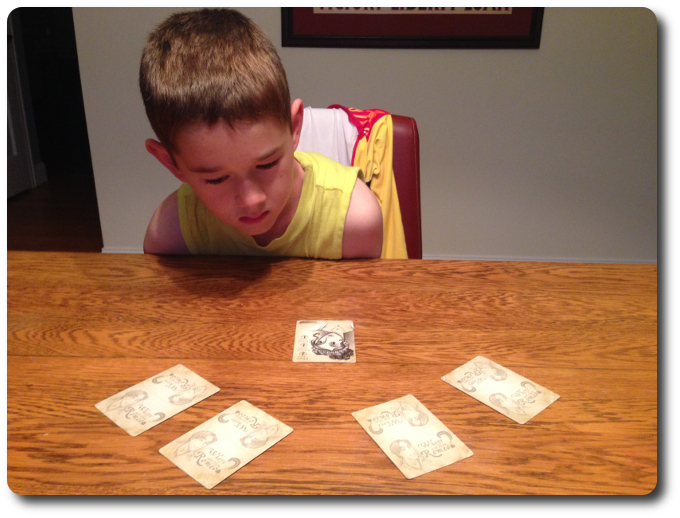 I didn’t know games like this existed.” Another Parent Geek said, “A true test of one’s ability to listen and observe. It’s like a shell game, except the shells are talking to you.” All the Parent Geeks enjoyed the game and many were disappointed that it was over so quickly. A few additional games back-to-back solved that problem. The Parent Geeks voted to approve Where Art Thou, Romeo? without hesitation. The gaming elitists thought the game was “OK” to “good”, but never “great”. All the Gamer Geeks enjoyed the speed in which the game was played, how the points were earned, and the subtle meta game that had to be played throughout, but that was it. According to one Gamer Geek, “This is a good game for quick plays with small groups when you are waiting for others. I’d play this again, but I would get tired of it after a while. Not much of a game, really.” Another Gamer Geek said, “I think the most fun is being Juliet, which is an odd thing for a guy like me to say.” One Gamer Geek said, ‘This game is too fast and too light to be of any interest to me. There is no game here. It’s just my word against your word.” When all the games were over, the Gamer Geeks were undecided if Where Art Thou, Romeo? was a game worthy of their table. Many didn’t understand the game’s point, but they believe the game had value. There are two aspects of this game that left me feeling a bit cold. The first was the lack of real information in the game. I knew exactly which role I selected, but there was never anything in the game to help me determine who others were, with the exception of Juliet. This made Where Art Thou, Romeo? into little more than a guessing game. As one Gamer Geek said, “It’s just my word against your word.” That doesn’t help the player who is Juliet much and the end result is that the Juliet character makes a choice based on very little information. Is Romeo there? Is he not? Does it matter? Only in the long run when all the points are scored. The second was the lobbying period. During all our games, the players talked over each other to make their case. This made it difficult to keep track of what was being said and by whom. The player who was Juliet was bombarded with promises and accusations. Most of which were lies. When it came time to select Romeo or decide that Romeo was not around, all our players mentioned it was difficult to decide since they were more or less bombarded with a lot of information all at once. There were a number of games where the opposite occurred, too, which was even worse. When the players don’t get into the game, the lobbying period is nothing more than players saying, “Pick me, not them.” And that’s it. No reasons why, no suggestions on why the others are wrong, and nothing to really go on. This kills the mood of the game and the fun. Ultimately, every aspect of the game that was disliked was pushed aside and made moot thanks to the game’s play length. If a player didn’t care for the game, they didn’t play it long enough to really get annoyed by it. In fact, the players who were most annoyed were the ones who really enjoyed the game and thought it was over too fast. If you are looking for a quick game of deception and manipulation, where true love might or might not be a card flip away, then do jump at the opportunity to play Where Art Thou, Romeo? the first chance you get. Who knows….you might just fall in love. Tagged Bluffing Games, Card Games, Child Geek Approved, Deduction Games, Novel-Based Games, Parent Geek Approved, Renaissance Games. Bookmark the permalink.